If you’ve liked us on Facebook or follow us on Instagram, you’ll have noticed our photo series that highlights some of the stories and reasons we have been given when people are surrendering their pets. Many of the pets that are surrendered end up in shelters like the Humane Society of Macomb. While we love all the animals that come to us while they are here, and miss them when they leave, we would rather they stay with the loving families they have. The dogs and cats at the shelter don’t understand why they have been surrendered and it can be very emotional for them and their owners. Here are 3 things you should do before surrendering or choosing a pet that you may ultimately feel like you have to surrender. Advanced planning can help solve many of the problems on this list. Behavioral problems, ranging from mild to severe, are often a reason that pets are surrendered. But some things that people believe are behavioral problems are actually just characteristics of the breed or the specific animal. This is where we recommend advanced planning before deciding what pet to get. (For more information on that, check out our earlier blog post.) By doing some research and talking to employees or volunteers at the place where you’re looking to adopt, you will learn more about characteristics and dispositions of breeds and about the specific animals they have to adopt. Allergies of human family members is also a factor of surrendering pets and can be figured out through advanced planning. If you and your doctor decide that it is safe to adopt a pet, your doctor can then discuss different treatment methods to lessen your reaction. Most people can take allergy medication without issues, although another solution would be to adopt a hypoallergenic cat or dog. Moving is another instance where advanced planning can help keep pets with their families. People will often pick a place to live without considering their furry friends. But that often backfires for the pets. Some apartment complexes or landlords have rules against pets, certain pets, or the number of pets allowed. You should also make sure where you’re moving is suitable for your pet. If you have a dog that is used to running around in a large yard, a small one-bedroom apartment probably isn’t the best fit. Before you put a down payment on a new place to live, make sure the new place can accommodate your furry family members as well. Another reason we see pets surrendered is because a new pet came into the household, and the two animals don’t get along. Before adopting another pet, you need to think about the pet(s) that are already in the household. While it’s great to adopt, it’s worse to adopt and then surrender a pet who is used to a home and a family. We find that these animals often have a harder time in the shelter and are less likely to find another home. A solution to this problem would be to have a meet and greet, or a couple, between the animal you’re looking to adopt and the pet(s) that are already in the home. During these events, you can find out how the animals interact with one another. From there, you can decide whether it makes sense to adopt the new pet into your household. The other reasons where we typically see pets surrendered is when human family members aren’t understanding of their pets. These reasons include old age, clean up responsibilities, and shedding. 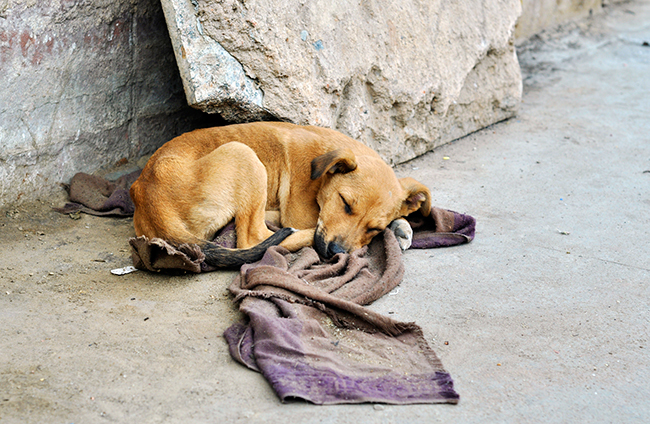 Instead of dealing with these issues, people often surrender pets to a shelter. As your pet’s sole caretaker, it is your responsibility to take care of them in their old age, and to continue to be a loving owner. If you truly feel like you cannot take care of an aging pet, instead of giving them to a shelter, it would be best to take them to a doctor and euthanize them. We also see people return pets to shelters because they have to do too much clean-up. This is often the result of parents buying young children a pet, and the children not actually helping in responsibilities like they said they would. While it is unfortunate that your kids aren’t helping you out with the new pet, that is not the pet’s fault. It is unfair to punish them for something they have no control over. We hope this article helped give you some insight as to why people surrender pets and ways to avoid surrendering pets. If you have any questions, don’t hesitate to reach out. Finally, we do want to note that if you are considering surrendering your pet due to financial hardship we do have a pet food bank for those with a demonstrated need.